Formula 1 Japanese GP 2018 Live Stream, Schedule & Live Telecast Info of Japanese Grand Prix: Last Year Winner Hamilton Will Look to Extend the Lead Further. 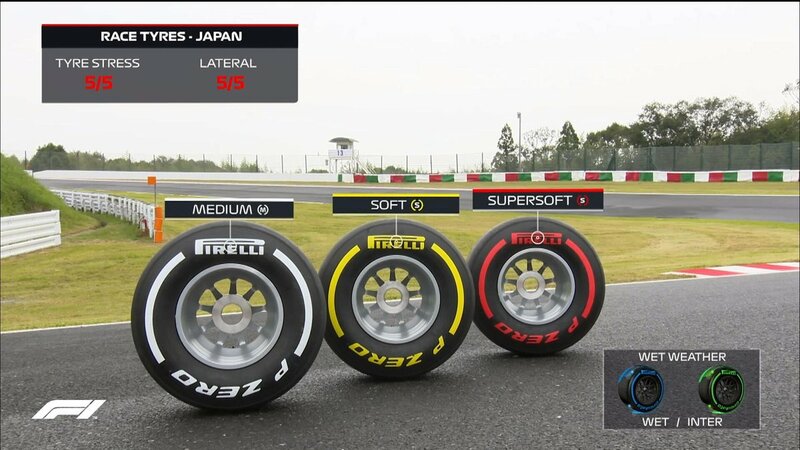 After the controversial race at Sochi F1 action is shifted to Suzuka Japan. At Sochi, it was the Mercedes team order which handed Hamilton a win as Valtteri Bottas had to make way for reigning champion. This resulted in Hamilton extending his lead to 50 points on rival Sebastian Vettel. Hamilton won the Japnese GP last year, it was the same race which tilted the momentum in the favour Hamilton as Vettel had to retire due to the technical issue which gave Hamilton a clear lead of 25 points of Vettel. Sochi Race was a bitter-sweet experience for Mercedes as even Hamilton did not enjoy the win, as Bottas was stripped-off the opportunity due to team orders and had content with the second place. The live telecast of Formula 1 Japnese Grand Prix 2018 in Canada is on TSN. Star Sports Select/HD will broadcast the race in India. US F1 viewers will need to tune into ABC & ESPN to catch the final race. Sky Sports and Channel 4 will telecast the final race in the United Kingdom. beIN Sports Arabia will telecast the race in the Middle East & North Africa. Australian viewers will be able to watch the race on Network Ten & Fox Sports. Sky Sports will broadcast the race in Ireland, Italy, and Newzealand. French Formula 1 fan will be able to catch the race on Canal+. Fox Sports will telecast the coverage in Asia. In Germany, the race will be on RTL & n-TV. The Suzuka International Circuit famous for it’s “S” curves is one the fastest and the challenging race track on F1 calendar. 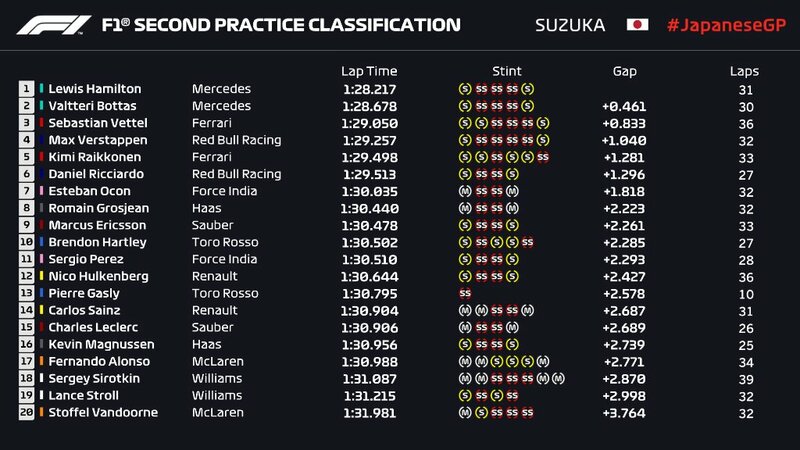 ICYMI: Did you miss FP2 at Suzuka today?